“Romance is a large part of any loving relationship from start to finish,” said Thad Schaben, of Hot Spring Spas of Des Moines. Here are three quick romance tips to strengthen all areas of a relationship. Enjoy Recreation and Fitness Together with a Swim Spa – Adding a swim spa to the home offers everyone in the home a place to work out, but also creates a romantic get-a-way for couples. Powerful current jets allow for swimming in place or running against a current for resistance. Aquatic fitness work outs are effective, burning more calories than most activities on land. Write a Love Letter – Love letters are not just for new romances, but make great reminders about how much couples appreciate one another. Put a note in an unexpected place, like a briefcase or purse – even taped to a mirror. Whether it’s a regular occurrence, or something done once to surprise a loved one, a well-crafted love letter can help rekindle the romance in a relationship. Increase Togetherness with Hobbies – Rather than spending time alone or retreating at the end of the day to unwind separately, consider activities that are interesting to both. Spending quality time together having fun is a quick way to bond and strengthen relationships. 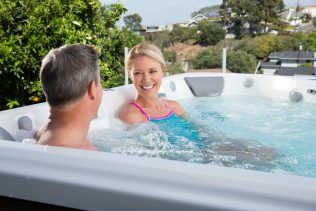 Consumers wanting to learn more about swim spas and how they can help improve overall health and well-being are encouraged to pick up a copy of this free buyer’s guide “Secrets to Swim Spa Buying Success.” Just visit https://hotspringgreen.com/swim-spas for more information.